Yoga is an age-old holistic practice, yet it has often meshed into newer forms. We’d like to throw the spotlight on an interesting form of yoga known as Vinyasa which involves the transition from one posture to another without resting or taking a break. The practice of breathing in and breathing out while getting into and out of a posture has great importance while practicing Vinyasa yoga. The term Vinyasa is derived from the words Vi and Nyasa which means, ‘to place in a special manner’. This denotes that the practice of Vinyasa yoga involves the body to get into specific postures, to place each limb in a particular position, synchronized with your breathing and to be mindful of the entire physical kriya. The idea is to be aware of all different parts of the body, feel them while getting into a posture, derive the most from an existing pose and move on to the next one. Your breath is the connecting thread between two postures and this is why Vinyasa yoga is also known as ‘flow yoga’. Ujjayi breathing is practiced while performing Vinyasa yoga – which means that you first fill your stomach up followed by the rib cage, chest and then the throat. This form of a breathing technique is practiced throughout while performing Vinyasa yog. Yoga is the slow and steady way to keep yourself fit and healthy. 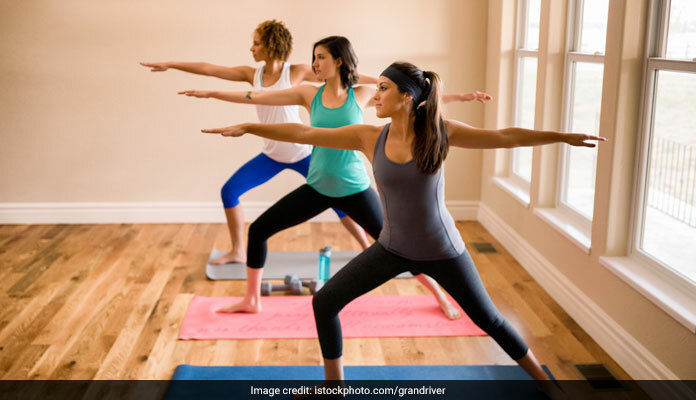 Since Vinyasa yoga is a quite a dynamic form of yogic practice (and you can always play around with the intensity and speed of getting in and out of the postures), it is something that will generate heat in your body. Vinyasa yoga is excellent for body strengthening, flexibility, shedding weight, boosting metabolism and gaining muscles. It combines various classes of postures together – from standing poses to forward and backward bends, bodily twists et cetera. Therefore, it is like a complete body workout. You become more aware of your body and more mindful of its capabilities. Vinyasa yoga challenges your physical limitations and prepares the body for more strenuous experiences. An ideal sequence of postures in a Vinyasa practice can be a product of various poses tailor-made by your instructor. The thumb rule is that you begin and end on the same posture, always. For example, you can begin with the Four-limbed staff pose (Chaturanga Dandasana), move on to the Upward Facing Dog Pose (Urdhva Mukha Svanasana), then on to the Downward Facing Dog (Adho Mukha Svanasana) and finally back to the staff pose. Many instructors may take you through the Child’s Pose to theCorpse Pose to actually exhibit various stages of life through yogic expression. “Vinyasa means arranging something in a special way. It is a flow form of yoga that coordinates the movements with breath. Each step is a breathe in followed by a breathe out. 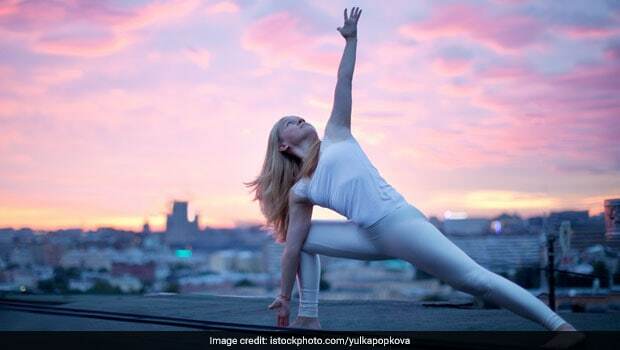 Here the heart opener postures follow the forward bends,” shared yog expert Manisha Kohli who also co-owns a The Yoga Chakra studio in Delhi.